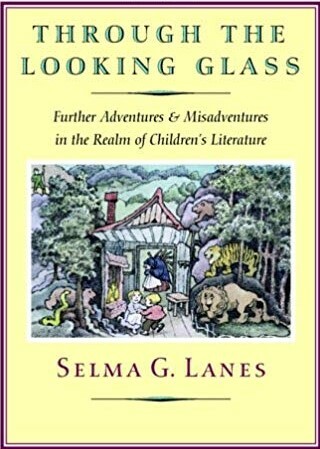 This book sounded interesting to me, but I did not realize it was a collection of Selma G. Lanes’s essays on various topics related to children’s literature. Lanes herself was a writer about children’s literature, as well as an editor, critic, and essayist. Although Lanes writes in the introduction about the tendency for publishers to look for marketable books rather than good ones, the essays largely deal with a more congenial time for children’s literature, the 1970’s. This collection includes reviews, obituaries, and opinion pieces on such topics as whether children’s books are literature, what constitutes a great children’s book, and whether the pursuit of political correctness can go too far. These topics are interesting, but because most of the essays are from the 1970’s, some of them seem dated. Lanes also is nostalgic for the works of an earlier time, many of which I’m not familiar with. A final essay about J. K. Rowling written in 2004 brings us more up to date as does the introduction. Still, a reader looking for good reading for a child (and sometimes an adult) can get some ideas, albeit older ones, from this book. 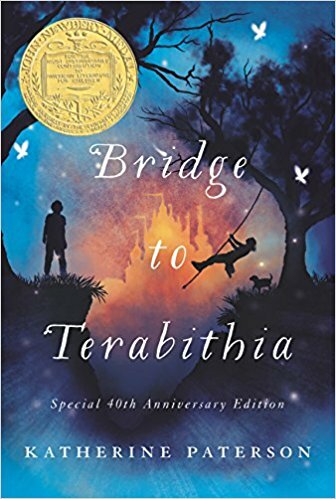 I read Bridge to Terabithia for the 1977 club (but forgot about it when I was posting for the club). It has become a classic book for preteens since its publication, but it was written after my time as a child, so I never read it before. Jess is a ten-year-old boy from a poor rural family in, perhaps, Virginia or Maryland. He comes from a family of sisters, and his father works all the time, so he often feels isolated. It is almost time for school to start, and he has been practicing running all summer so he can win the races at recess. A family moves in nearby, and he hopes they have a boy his age, but all they have is a girl, Leslie. She seems to be disposed to be friendly, but he has no use for a girl. Then, at the races, when is ready to show everyone how fast he is, someone beats him. It’s Leslie. Leslie and Jess become friends and create an imaginary world for themselves in a shack across the creek. The world is called Terabithia, and you can only get to it by swinging on a rope across the creek. This is the kind of children’s book that has more to offer children than adults. I couldn’t help comparing it to The Secret Garden, which does a wonderful job of describing the garden, making it seem like a wonderland. There is no such magical description in this novel, which is more matter-of-fact, so it’s hard to understand the fascination of the kids’ made-up world. However, the novel did get me to cry without being manipulative. It deals with death and handles the subject very well. Last year I gave my ten-year-old niece three books by Kate Di Camillo, and her face lit right up. 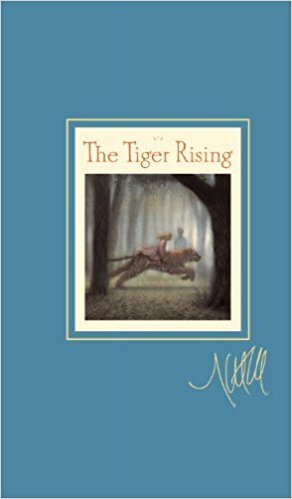 This year, I got her The Tiger Rises and read it to see what was so great about Di Camillo. Rob is an unhappy 12-year-old, used to being bullied on the bus and not allowed by his father to mention his dead mother. One day when he is exploring the woods near the motel where he lives, he finds a tiger in a cage. The next day, he meets Sistine, a new girl in school. Sistine is angry since the breakup of her parents’ marriage. Rob takes her to see the tiger, and she immediately decides they should let it loose. I am sure there are elements in this novel that would interest children, but it doesn’t have much to offer adults. It provides a shocking but unconvincingly easy solution to the characters’ problems. And really, what kind of a good solution is going to come from a tiger in a cage? A while back, some bloggers were having an Anne of Green Gables reading challenge. That led me to reread Anne of Green Gables, and I was pleasantly surprised to see how well it held up for adults. Other bloggers went ahead and read the entire series. I don’t think I read the entire series when I was a girl, but I know I read up through the time when Anne married Gilbert, so I’m guessing I read three or four books back then. When I ran across a copy of Anne of Avonlea, the second book in the series, I decided to give it a try as an adult. In this book, Anne is sixteen and just about to begin her career as a schoolteacher in Avonlea. Most of her old friends are also teachers at nearby schools. The novel follows her adventures during the next two years as she teaches, makes new friends, and begins to grow up a little. She and Marilla also take on the upbringing of two six-year-old distant cousins of Marilla, Davey and Dora. I’m afraid I didn’t enjoy this book as much. The dreamy, romantic Anne, with all her comments about fairies and so on isn’t as convincing as an older girl. The novel relies for humor mostly on the comments of Anne’s students and the misbehavior of Davey. I found the first a little cloying, and I couldn’t help comparing the second to a similar situation in A Girl of the Limberlost, which is handled much better. I have to admit to not developing any feelings for any of these children, whereas Anne as a child was very sympathetic. Finally, there’s not much of a sense of plot to this novel. It is almost as if, in these transitional years, Montgomery didn’t know what to do with Anne. The most dramatic events center around her friend, Miss Lavendar Lewis, but they are predictable. I think this is a book that adolescent or pre-adolescent girls might love, but it holds little attraction for me. I read about This Is a Poem That Heals Fish on Brain Pickings and had to have it for my great nephew. It was difficult to find a copy (but no longer is). So, Arthur spends the rest of the book trying to find out what a poem is, getting advice from various people and animals in the neighborhood. For example, Lolo at the bicycle shop says “A poem, Arthur, is when you are in love and have the sky in your mouth.” From everyone’s comments, Arthur makes his own poem at the end of the book. This is a lovely book, with beautiful, modern illustrations and ideas that make you ponder. Although I am giving it to a four-year-old, I think it could be appreciated by any age. A while back, I read E. Nesbit’s The Railway Children. Although I liked it well enough, I did not find it as delightful as the book I’m reviewing today, The Story of the Treasure Seekers. This first novel of Nesbit’s is about the Bastable children, Alice, Dicky, Dora, Horace Octavius (known as H. O. ), and Oswald. The narrator keeps his identity secret, but we can tell fairly soon that it’s Oswald. The Bastable’s mother died not long ago, and the children are vaguely aware that their father is having financial problems. He has removed them from school, and the house isn’t nicely kept up. So, the children have a council, and they each come up with a plan for finding treasure. The novel is about what happens as the children try to raise money, their plans ranging from holding up people on the common to dowsing for gold. The novel is very funny, I think even more for adults than for children. Children will enjoy the kid’s adventures, but adults can understand an entire additional layer of information that the children in the book don’t, for example, that the Robber they find in their father’s study is probably not a Robber. The naivety of the narration lends this novel a charm and humor that a straightforward third-person narrative would not. This is a lovely, funny book. The Railway Children is a classic British children’s story, written in 1906. At the beginning, Roberta (Bobbie), Peter, and Phyllis live a happy and comfortable life with their parents in a suburb of London. Then one evening two men come to see their father, and they hear angry voices. Their father goes away with the men, and shortly afterward they move with their mother to a cottage in the country. Here things are a bit more primitive. They only have one servant, a housekeeper, and a pump in the yard for water. They have to help their mother more, and Peter can’t go to school. Their mother can’t play with them, because she is busy writing stories for money. They are poor and have to be careful how much coal they use and what they eat. Near their house is the railway, and they find lots to entertain themselves watching the trains and getting to know the men at the station. They wave to an old gentleman on the morning train every day, and they have adventures related to the railway. I can see why children would love this story. Although the children’s adventures are all realistic, they would be exciting reading for children. There is also the mystery about their father. Character development is not a strong suit of the novel, but the children and their mother are sympathetic and the children behave like actual children. Perhaps the novel does not have as much to offer adults, especially those who didn’t read and love the book as children. Still, it’s easy to see why the book is still popular.